I officially have a new favourite outfit and you are looking at it. 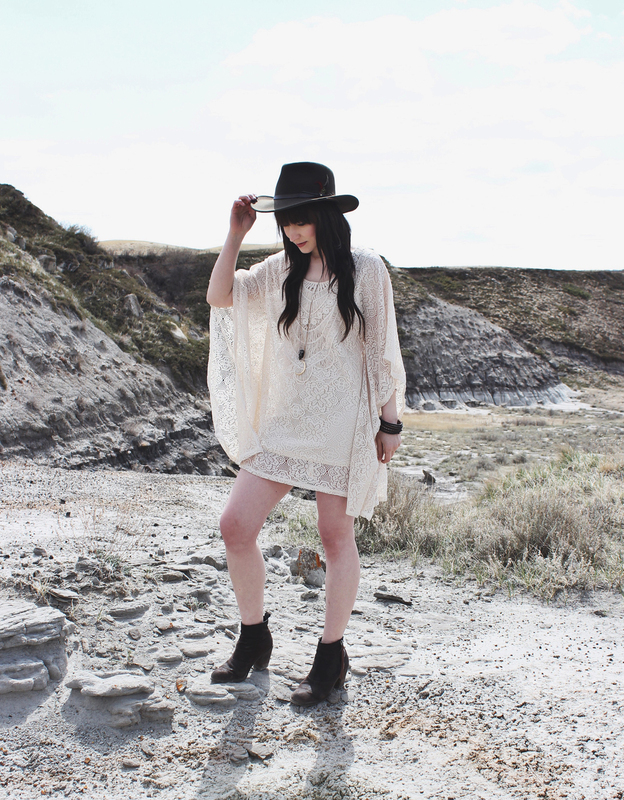 This Crochet lace kaftan dress by Lovestitch is everything I could possibly want in a dress. It’s seventies inspired and I love that. I love how it drapes perfectly and I just love the crochet detailing. If I was attending a music festival this summer, this would definitely be my top choice for an outfit. The rest of this look consists of two of my favourite necklaces. One is my crescent moon necklace by Shesso and the other one is my northern cardinal skull by Black Sparrow Jewelry. 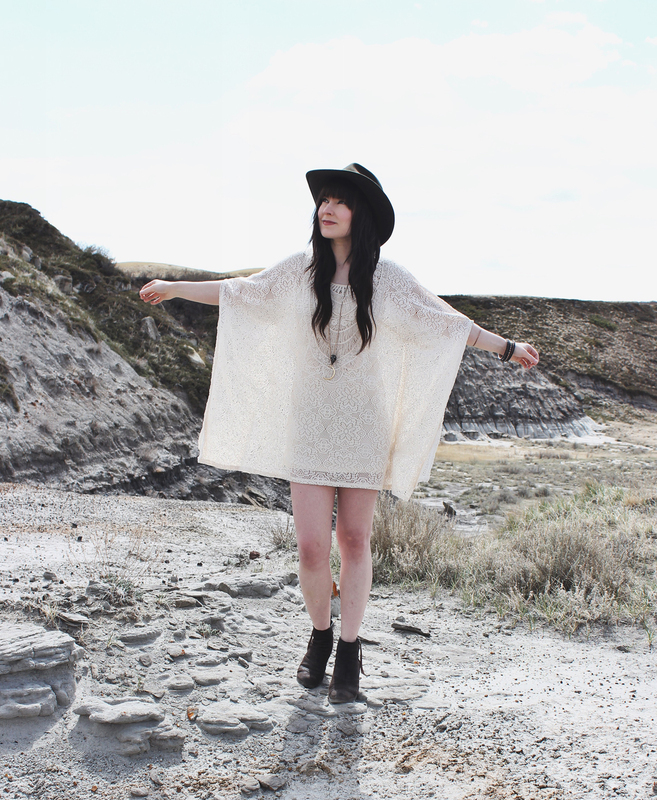 I added my favourite western style hat and there you have it, my favourite spring outfit. Ahhhhh this dress seriously is perfect!! I love the way it lays on you and how you paired it with your signature hat look. 🙂 The texture is dreamy.